Service Partners at Hometriangle in Mysore. The providers on-boarded on Hometriangle are approved only after an extensive background scrutiny and customers reference checks. The team did a good job. 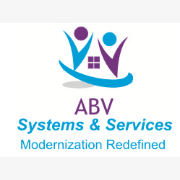 We are ABV Services & Systems, Housekeeping Firms in Mysore. We are into service from almost 2 years having a very rich experience in this field. We know exactly what customer wants and how to cater to it. We are extremely happy to provide you exquisite services through Hometriangle. We are Zakthi Creations, Home Appliances Repair Firms in Mysore. We are into service from almost 2 years having a very rich experience in this field. We know exactly what customer wants and how to cater to it. We are extremely happy to provide you exquisite services through Hometriangle. We are Smart Security , Housekeeping Firms in Mysore. We are into service from almost 2 years having a very rich experience in this field. We know exactly what customer wants and how to cater to it. We are extremely happy to provide you exquisite services through Hometriangle. We are CARE N CLEAN, Housekeeping Firms in Mysore. We are into service from almost 7 years having a very rich experience in this field. We know exactly what customer wants and how to cater to it. We are extremely happy to provide you exquisite services through Hometriangle. Neat and clean work done. Reasonable charge as well. Good service,highly recommendable to others for quality painting.. Always had great service and their systems I have bought make my water amazing! I have bought 2 ro systems and have purified water at my faucet and fridge which makes my ice so clear and perfect - I also bought a water softener with chlorine removal and have the best showers I have ever had now! Thanks for the fab cleaning work done by home triangle.. The team was more than helpful in helping us to solve the issues.they take the time and truly cares .Good service. Very well mannered and efficient professional. We are grateful for expert house painting work done within our budget. There is a brightness I could never have expected.